Emma’s Story – I was diagnosed in 2012 and had become very poorly, requiring a wheelchair to get out, and started on several medications. My partner and I had been together three years, the majority of those had been with declining health leading up to my diagnosis, so any thoughts of the future and starting a family were on hold. I was also worried that with such poor health I would either not be able to conceive or ever be well enough to care for a baby. After treatment commenced I slowly started to improve, began realising what it was like to feel ‘normal’ again, returning to work part time and enjoying a healthy relationship with holidays, festivals and weekends with friends, rather than feeling too unwell to leave the house. After a few years we talked about starting a family, and were given the go ahead by my doctors as I’d not had a flare for over six months and was stable, I was started on Folic Acid and vitamins beforehand and was assured that it was safe to continue my Hydroxychloroquine. After just a few months I suspected I was pregnant as I had been sick a few times and a test confirmed! I developed Hyperemesis Gravidarum (not thought to be related to lupus) which I was given anti-emetics for and was closely monitored by the obstetric consultant throughout pregnancy. After about 26 weeks my body was not coping with me working, having a chronic illness and growing a baby. The growth of the baby had reduced, so I took annual leave and started my maternity leave early. Resting at home and getting in some afternoon naps helped amazingly and the baby’s growth normalised again. One benefit of having lupus meant that I was scanned really frequently so got to see baby growing and changing every couple of weeks! The lupus itself mostly behaved during pregnancy, with one consultant actually telling me I should be pregnant all the time when reviewing my blood results! I felt very well monitored and cared for by the London Rheumatologists and Obstetric doctors throughout. I was scheduled to be induced as I was not allowed to go over my due date because of the lupus. 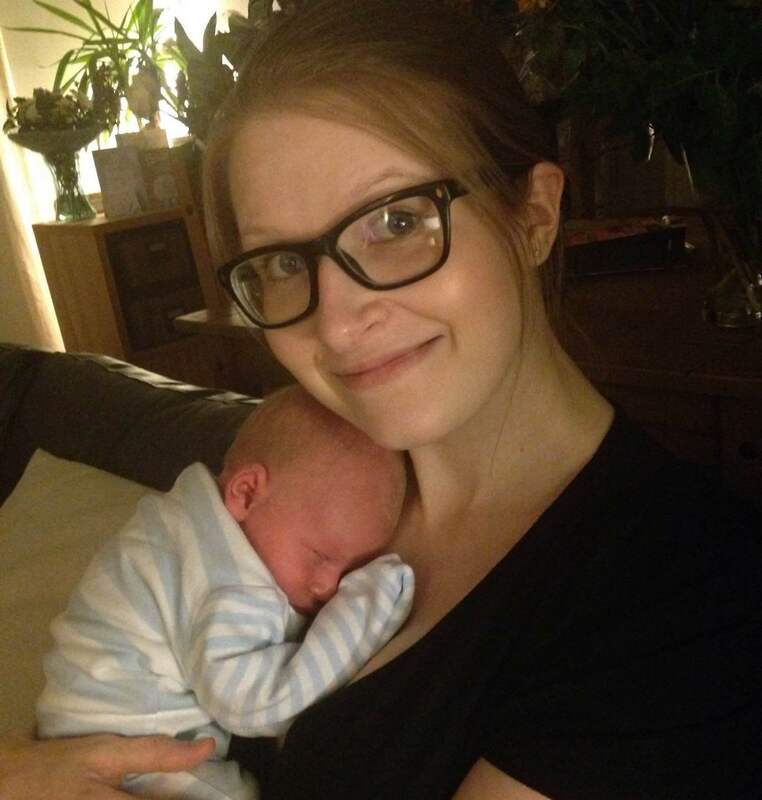 The day after induction we welcomed our gorgeous, 7lb 2oz healthy baby boy Oliver! He is now seven months old and is great fun and thriving. I’ve been able to breastfeed exclusively whilst taking my medication and so far my health has been stable. The sleepless nights and fatigue with a newborn is nothing compared to a lupus flare either!